I know there are many brownie purists in the world. I'm not one of them. I like stuff in my brownies. Chocolate makes friends easily. Nuts are fine. Chocolate chips, great. Farther afield, I've tried brownies with shredded zucchini (like), brownies with grated pears and diced crystallized ginger (love), and brownies with shaved Italian black truffles (ADORE, of course). But my favorite combination is dark chocolate brownies with dried sour cherries. The tangy cherries provide just the right teeter-totter balance to the sweet, soft chocolate. They add texture without crunch. And antioxidants! If chocolate is good for you, then dark chocolate brownies with dried sour cherries count as pure health food. Please, I'm begging you: Use good chocolate when you make brownies. Don't use the supermarket "baking chocolate" that comes in dry one-ounce squares and tastes like dirt bound with tar. Live a little and buy good chocolate. I've tried all kinds of chocolate for my brownies and strongly prefer Trader Joe's unsweetened baking chocolate*. It's smooth and delicious, and it comes in neat little disks, six to an ounce. No weighing! No scale! I love good ingredients that make my life easier at the same time. * No one is paying me to say this - I'm happy to recommend the products I use and love. 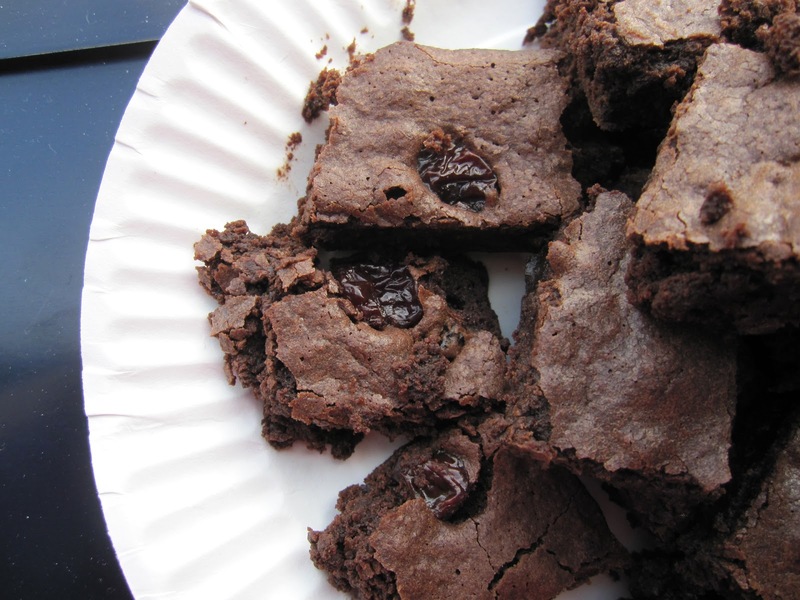 Dense, chewy brownies get an extra dose of antioxidants from dried sour cherries. Preheat the oven to 325 degrees. Spray an 8-inch square baking pan with cooking spray and set aside.Melt together the chocolate and butter over low heat. Let cool a few minutes. Stir in the sugar, then the eggs, beating well. Add the salt, flour, cocoa powder and extracts. Stir in the dried cherries. (If you want them to show, save out a few and scatter them on top of the batter instead of mixing them in. )Pour the brownie batter into the prepared baking pan and bake 35 minutes, or until the brownies are set and the middle has cracked a little. Let cool at least 1 hour or you will be eating chocolate mush - not necessarily a bad thing, but if you're expecting something more solid you'll want to let the brownies set up a little, which happens as they cool. Eat with joy. Using dried sour cherries in this brownie recipe is a fantastic idea! Chocolate and cherries do pair well together and the almond flavoring goes right along with the cherries! Thanks also for the recommendation of using Trader Joe's unsweetened chocolate! 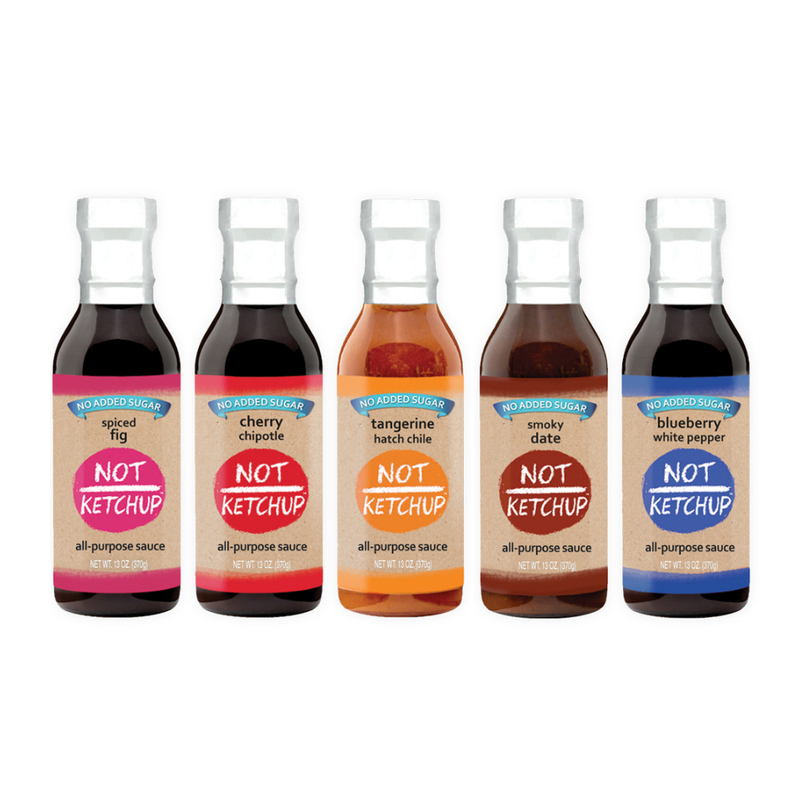 Did you know there is a blog called What's Good at Trader Joe's? cherries and chocolate were made to go together! I love adding goodies to my brownies too...and these look so yummy! Thank you for making me smile. I love visiting your blog before I head to work. It is a great start to my long day. Much love and many blessings from Austin! This looks delicious! Maybe I just missed it, but I don't see the amount of flour in your ingredients? Nathalie, you are totally right - thank you for noticing! It's 1/2 cup and I've fixed it above. Mea culpa!